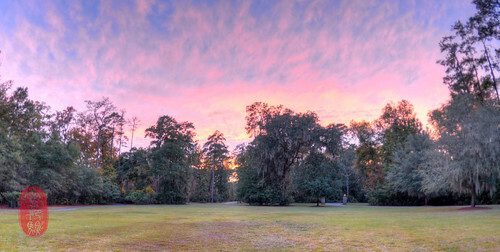 Does the sun set more colorfully in South Carolina? Do flavors speak more honestly the closer you get to Mississippi? Does time slow as you approach Georgia? Is this love? If culture is religion, I now attend the church of the American South. 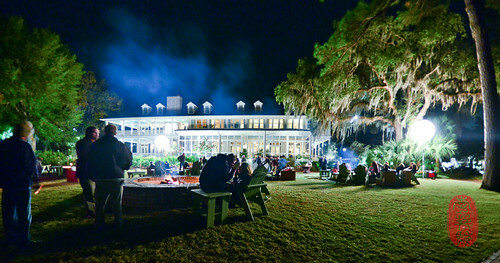 Last November, I was invited to attend the fifth annual Music To Your Mouth festival at The Inn at Palmetto Bluff, a peaceful resort knitted into 20,000 acres of conservancy land along the May River in South Carolina. Although I had been through the South many times before, that event gave me my first, true taste of Southern culture, and it was along those Lowcountry shores that I first fell deeply in love with it. In the year since, I have spent more time in the South, learning about its people and traditions. 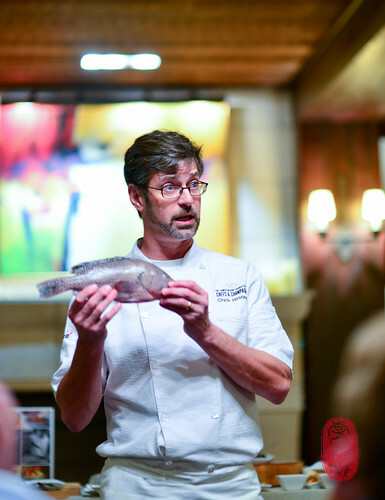 Most recently, I took a quick road trip through Tennessee on my way to the annual Southern Foodways Alliance symposium in Oxford, Mississippi, a brilliantly orchestrated dialogue focusing on the preservation and understanding of Southern culture. Highly academic and wonderfully intimate, that three-day, conference served as my induction into the congregation of a tremendously diverse, yet fiercely united people. Well, if the SFA symposium is the high church of Southern food culture, then the Music To Your Mouth festival is its annual social, a familial gathering over food and music. But, the festival is not just a party. It also functions as an important exchange. 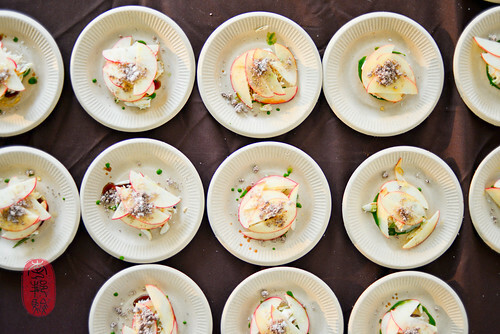 This year, the event was moderated by John T. Edge, the director of the S.F.A., and attended by chefs and artisanal food producers from all over the region. 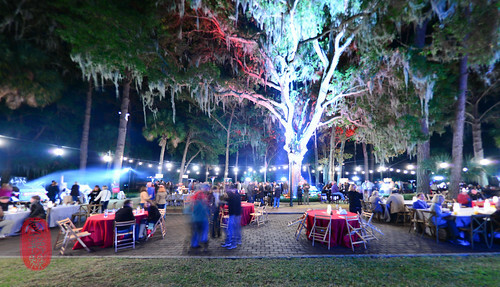 Together, they rained a storm of ideas and ingredients (and a little bourbon too) on Palmetto Bluff. This event wasn’t without meditative pauses either, which allowed attendees to properly soak in the biscuits, bacon, and booze between bike rides and barbecues. Nor was it short on charity. Like last year, this year’s ticket sales benefited Second Helpings, a local food distribution project. So, when I received an invitation to attend the sixth annual festival this year – once again, a guest of the resort, all-expenses paid – I happily agreed to return. In my post about the Music To Your Mouth festival last year, I had wished for more in-depth cooking demonstrations, like the one Jeremiah Langhorne (chef de cuisine at McCrady’s) gave. Highly informative, he introduced us to an array of Southern produce and ingredients, many of which had been forgotten in the last two centuries, and only recently revived. I don’t know whether the festival’s organizers were listening, but my wish was granted. This year, two “Food of Place” cooking classes appeared on the festival’s roster. Chris Hastings, chef of Hot & Hot Fish Club in Birmingham, focused on “Alabama Artisans, Farmers, and Fishermen.” He showed us beautiful seafood from the Gulf, like triple tail – an elegant fish named for its three hind fins – which he served cured, poached, and pan-fried next to a rainbow of citruses. He implored us not to shy from rabbit, convincing us with a wonderful rabbit pot pie and a potted rabbit liver mousse capped with fragrant, muscadine gelée. And he told us about the resurgence of chestnuts in the South – a devastating blight nearly cleared this once-abundant cash crop from the country in the early 1900s – and served them to us roasted, naked save a drizzle of honey, next to a pretty verrine of stewed persimmons under a velvety posset. John Currence, who owns three restaurants in Oxford, presented a “Modern Mississippi Menu.” He told us about the hot tamales that were traditionally sold on the streets of Mississippi, and then made us his own version with a litany of Mississippi-grown ingredients, from corn to crema. He taught me that, in some parts of the South, gumbo is not taken over rice, but rather with potato salad – the vinegary kind, that helps thin the richness of the stew. So, he made us gumbo with Mississippi Delta shrimp and catfish, and served it over a vinegary root vegetable salad. And for dessert, he fried up some beignets spiked with cayenne and cracked pepper, and served them under an avalanche of powdery sugar. The showpiece of Music To Your Mouth is the the Culinary Festival, which takes place under a big tent in the resort’s “town square.” Here, gathered over two dozen chefs and vintners, each pouring and presenting a taste of their turf. Like last year, this year’s taste-around was blessed with sunny skies and great food. Linton Hopkins (chef of Restaurant Eugene and Holeman & Finch in Atlanta, Georgia), served a Flintstone-sized beef rib, lacquered with sorghum glaze and dressed with clabbered buttermilk, relish, and kale ash. Look at this and tell me that’s not the sluttiest piece of meat you’ve ever seen (in the best of ways, of course). I loved Ashley Christensen’s rabbit and field pea stew, served over dirty rice flecked with bits of rabbit liver. (She is the chef at Poole’s Diner in Raleigh, North Carolina). And I was pleasantly surprised how well scallops paired with yuzu, vanilla, and green apples in a ceviche by Michelle Weaver of Charleston Grill (in Charleston, South Carolina, of course). It was bright and refreshing. 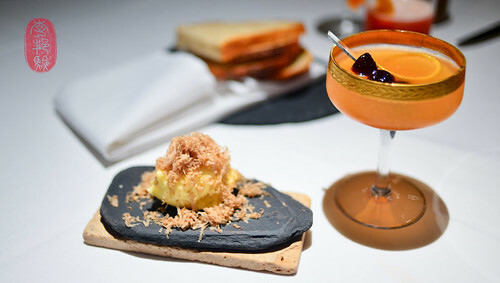 Last year, Bill Smith, chef of Crook’s Corner in Chapel Hill, North Carolina, served the only dessert at the Culinary Festival – a delicious banana pudding. This year, he brought “Atlantic Beach Pie,” and served it with printed copies of the recipe. It’s a very simple one; there only six ingredients, three of which are in the crust, including “1 1/2 sleeves of Saltine crackers.” The filling is a curd made with one can of sweetened condensed milk, four egg yolks, and half a cup of lemon and lime juices in equal parts. I loved it. My favorite festival events happened at night. The next night, we grazed along the banks of the May River, an unlikely, but spectacular setting for a “block party.” Anchored at one end by Rodney Scott’s smoker, from which he pulled pork off of a whole hog (his restaurant, Scott’s BBQ, is located in Hemingway, South Carolina), the food stalls stretched across the lawn under a canopy of Spanish moss, book-ended on the other side by fried chicken and waffles, oysters on the half shell, and peel-and-eat shrimp. In between, Jim ‘N Nicks BBQ (based in Birmingham, Alabama) offered a wonderful buffet of sides, including a delicious bowl of steaming, stewed cabbage. And, that beloved biscuit bar was right where I left it last year, complete with a dozen jams and cured meats for the dressing. We paused, as the block party was turned into an outdoor movie theatre, to watch two, short biopics, produced and filmed by the S.F.A. The first one took us to Allan Benton’s ham shop in Madisonville, Tennessee. Once a struggling artisan, his pork products can now be found around the country on menus of restaurants high and low. The second one sent us to Frankfort, Kentucky, to meet Julius Van Winkle, III, the scion of a great bourbon dynasty. In the past few years, his family’s Pappy Van Winkle bourbon quickly shot past cult status into a stratosphere of popularity all its own. At the end of the film, Van Winkle announced that his family’s distillery had teamed up with neighboring Buffalo Trace distillery to produce a special, 10-year bourbon. He surprised us all that night with a taste of the first batch of this partnership product, already ten years in the making. Upstream on the May River, I returned to that magical, castaway clearing known as Moreland Landing for an oyster roast, the final fête of the festival. 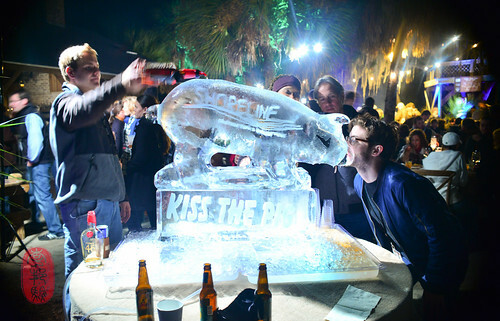 This year, we arrived to an ice luge in the shape of a pig, which offered a welcoming kiss of bourbon through its snout. There were steaming pans of “piggy paella,” and piles of crab, corn on the cob, and potatoes, hot from the boil. There was a dance floor, and a band, and lots of booze too. Afterwards, we all reconvened for a last hurrah at those fire pits by the inn, where, as it is a nightly tradition at Palmetto Bluff, we roasted marshmallows and ate s’mores late into the night. 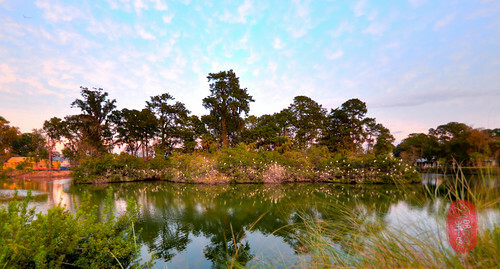 There were few moments to linger and lounge at Palmetto Bluff. But those that I caught were among the loveliest. I took a bike ride at dusk, as a rash of peachy pink chased away the powdery blue of day overhead. The resort is a series of unimaginatively picturesque postcards stitched together by winding paths and idle marshes. The woods are everywhere, tattered with moss and alive with sounds of nature in progress. If you wait and watch, you’ll see the most extraordinary sights; alligators among the reeds, or hundreds of egrets flocking to their rookery for the night. With all the natural beauty outside, it’s hard to believe you’d want to watch t.v. at a place like Palmetto Bluff. But, it was football season, and Southerners do not take their allegiances lightly. So, while John T. Edge cheered for Ole Miss, and Billy Reid for L.S.U., a few of us carved away an afternoon, an almond pound cake, and a tub of Christensen’s pimiento cheese all at the same time (the shameless ones among us made poundcake and pimiento cheese sandwiches). To help us work off our excesses, the resort offered many recreational activities. For the ambitious, there was a cross-fit session one morning. We – the few, the proud, the crazy – got our butts kicked. The next day, a few dozen of us got up early for the Hair of the Dog 5K run (with Bloody Marys waiting at the finish line). I’m convinced a team of professional runners crashed the event, because, given the late-nighting that had gone on just a few hours before, there were way too many chipper speedsters among us. I finished the course in 23 minutes and didn’t even come close to the head of the pack. And, on my last day, I finally got a quiet hour to record some laps in the pool. I was reminded that, though the water may be heated to 80 degrees, swimming outdoors in 40-degree temperatures will always be brisk. At least I had the pool to myself. The food was great and the setting was spectacular, but the best thing about the Music To Your Mouth festival were the people I met. Friends and strangers alike were generous, hospitable, and – most importantly – passionate about one thing or another, but mostly food and drink. When I saw Craig Deihl, whom I met briefly last year at his restaurant Cypress in Charleston, he pulled a sausage out his pocket and shaved me off a slice. Who does that? Craig Deihl, who is a serious charcuterier, does that. He’s the kind of person you hope to meet at Music To Your Mouth. I met two sisters, both from North Carolina, who introduced me to the Geechee and Gullah cultures of the Sea Islands, just off the coasts of South Carolina and Georgia. How did I not know about them before? I met Angie Mosier, a past president of the S.F.A., and now a food writer, photographer, and all-around lovely person. And I met two, Southern ladies from Virginia, by way of Houston, one of whom gave me a recipe for coconut layer cake. She attributes it to a woman (whose name I forgot) in a Southeastern county of Virginia. I have it memorized: one box of yellow cake mix (avoid the moist kind), one can of evaporated milk, one cup of sugar, a half a bag of sweetened shredded coconut, a few drops of almond extract, and lots and lots of Cool Whip. She said she’d put this cake up against anyone else’s best efforts. She clearly has not had Frank Stitt’s 7-layer coconut cake (Stitt is chef of Highlands Bar and Grill in Birmingham, Alabama). I’ve made Stitt’s cake so many times that I have that recipe memorized as well. It is truly peerless. The uptick in attendance at this year’s Music To Your Mouth festival was noticeable. The crowds were thicker, but by no means unmanageable. While this meant more money for Second Helpings – $16,000 this year, up more than $4,000 from last year’s total – for the sake of intimacy, I hope this event does not grow much more. Its smallness is its success. You’ll find all of the photos I took at this year’s Music To Your Mouth festival on my Flickr account. Following the festival, my friend Gabe and I had planned to visit nearby Savannah for a couple of days. Neither of us had been before. But Sean Brock convinced him to convince me to sacrifice one of our days in Georgia for one in South Carolina. So, we piled into Brock’s car for an unscheduled road trip north, arriving at his restaurant, Husk, a little past noon. Last year, my first (of three) meals at Husk ranked among the very best meals I had in 2011. Our latest brunch there does not trail far behind. Warning us away from the bread, Brock threw his kitchen at us. We had oysters, grilled until warm, veiled in melting sheets of lardo. There was a black pepper biscuit, smothered in smoky Benton’s bacon gravy, that I wanted to motorboat off the plate, it was so delicious. And there were tender strips of pulled pork, straight from the smoker, dressed in a tangy, homemade barbecue sauce. Those crunchy, vinegary pig ears in lettuce wraps – the dish that topped the list of my favorite dishes last year – were just as good as I remembered. So was Brock’s skillet cornbread. I look forward to having it every time I visit. I did a very evil thing this time and stripped it of all its, golden-brown edges, leaving only the middle for my table mates. Thankfully, they didn’t mind. I love crust. 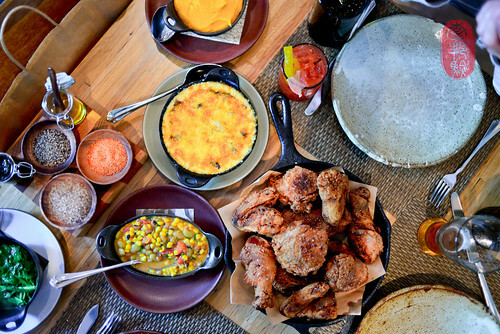 He says he’s only made and served his fried chicken a dozen or so times at Husk (the preparation takes two days). Brock’s fried chicken has a darker crust, crackling crisp from a good fry in a mix of fats. It’s truly terrific. With it arrived a half-dozen sides, including a wonderful succotash, a rich sweet potato purée, and baked grits threaded with oyster mushrooms. One shouldn’t go shopping at Billy Reid following a blow-out meal at Husk, just like one shouldn’t have dinner at McCrady’s following a blow-out meal at Husk. But we sucked in our guts and ended up doing both. In between, we watched the afternoon disappear in a couple of rounds of 15-year rye at Proof, a nice little bar on King Street. Brock pulled out all the stops at McCrady’s. His opening volley was a clod of butter covered in white truffle shavings, served with a stack of benne bread. There followed beef tartare, stained a brilliant shade of magenta with beets. Then shrimp, and grouper, and pork, and duck. Shawn Ehland, who I first met in Pittsburgh when he was chef at a restaurant called Kaya, is now pastry chef at McCrady’s (he spent some time at noma in between). Among the desserts he brought to our table was a lovely triptych of apples: a round of apple-oat cake, a quenelle of green apple ice cream, and a pair of torpedoed apples. Were there any noticeable differences in the cooking since my two dinners at McCrady last year? Brock wanted to know. Yes. His compositions seem simpler and slimmer now, focused on one contrasting couplet per plate: Celery and horseradish, lovage and black truffle, black walnut miso (this was amazing) and oats. This was my best meal at McCrady’s. When James Oglethorpe founded the colony of Georgia, he designed the layout of its capital city. One of his lasting contributions to Savannah is a neatly gridded plan, with parks and green spaces on almost every other block. While I can’t imagine having to navigate the city in a car – it would take forever to drive around all of those parks and squares just to go one, straight mile – it is beautiful, and a pedestrian’s paradise. Gabe and I walked up Bull Street for lunch at Mrs. Wilkes’ Boarding House. We waited on line for about a half an hour, before being assigned to a large communal table, where we shared plates of fried chicken and nearly two dozen sides, a buffet in bowls with strangers. Everyone told us that we must stop by The Olde Pink House, if not for dinner, then at least for drinks at the piano bar. Down in the basement, we found the old tavern room, where we had a few sips while listening to a woman named Diane click away at the keyboard, singing old tunes from Mancini, Mercer, and more. For something completely different, we went to Paula Deen’s restaurant, Lady & Sons, for dinner. That report will come anon, y’all. 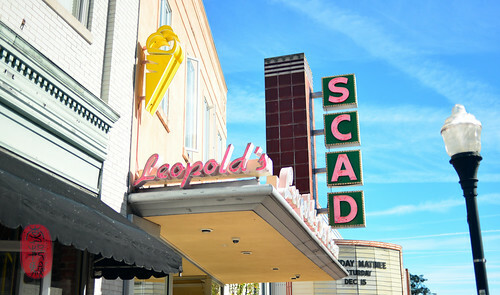 Gabe and I finished the night with a walk to the neon-lit block where the SCAD (Savannah College of Art & Design) sits across the street from Leopold’s Ice Creamery. He had a single dip cone, and I, a banana split. I swung by Back In The Day Bakery on my way to the airport for a bacon & pimiento cheese sandwich (the cheese is served warm between two toasted, ciabatta-like buns with a shatterific crust). Taking about half of their pastry case with me (the “crunchy pumpkin pie,” with a shortbread crust, is particularly great), I boarded my flight and promptly slipped into a coma. I never leave the South hungry, or empty handed. Having been raised by two Chinese immigrants, I appreciate that. I’ve mentioned this on my blog before, but I’ll say it again here: maybe my Southerness is actually my Chineseness. Either way – yes, this is love. I can’t wait to return. Photos: Cornmeal handpies with potlikker consommé by Anne Quatrano of Bacchanalia, Music To Your Mouth Festival, Palmetto Bluff, South Carolina; a rookery of egrets, Palmetto Bluff, South Carolina; Chris Hastings showing us the fish named Kitty Mitchell, Music To Your Mouth, Palmetto Bluff, South Carolina; Sean Brock’s crab with blackened butter and honeycrisp apples, Music To Your Mouth Festival, Palmetto Bluff, South Carolina; the Potlikker Block Party, Music To Your Mouth Festival, Palmetto Bluff, South Carolina; Gabe Ulla kissing the piggy bourbon luge, Music To Your Mouth Festival, Palmetto Bluff, South Carolina; bike ride at sunset, Palmetto Bluff, South Carolina; roasting marshmallows at the Inn at Palmetto Bluff, Music To Your Mouth Festival, Palmetto Bluff, South Carolina; fried chicken and fixin’s at Husk, Charleston, South Carolina; butter with white truffles at McCrady’s, Charleston, South Carolina; John Wesley in Reynold’s Square, Savannah, Georgia; Leopold’s Ice Creamery, Savannah, Georgia. ~ by ulterior epicure on November 30, 2012.